Lussick arrived from NRL side Manly Sea Eagles ahead of The Qualifiers and he has helped the Red Devils secure their Super League status for 2019. 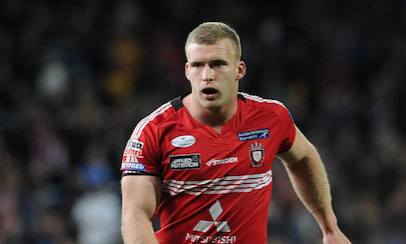 He has scored two tries in five appearances for the Red Devils so far and has become a fan favourite at the AJ Bell Stadium. On his new deal, Lussick: “I’m really happy to have put pen to paper. “Since I arrived here in The Qualifiers it’s certainly been interesting but the club from day one has been amazing, and all the boys have brilliant too. Red Devils head coach Ian Watson added: “We are really pleased to announce the retention of Joey. “He’s been a massive lift alongside Jackson (Hastings). He gave us some really good organisation and has been pivotal to the spine’s success in The Qualifiers in achieving the top of the league and best defensive record. “He’s been a mainstay for us after the loss of Josh Wood through injury, and his ability to be able to play a quality eighty minutes has given us even more options.